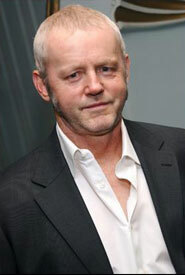 David Morse is an actor who has had a long career in film, television, and theater for over thirty years and has never seemed to take a break. He has returned to the stage in New York in The Unavoidable Disappearance of Tom Durnin at the Roundabout’s Laura Pels Theatre. He took some time to speak to The Wall Street Journal about returning to the New York stage for the first time since starring in Broadway’s The Seafarer five years ago. The Unavoidable Disappearance of Tom Durnin runs through August 25 at The Laura Pels Theatre (111 West 46th Street).